Abstract: Amplitude Shift Keying plays a major role in the field of digital modulation because of its simplicity in implementation as well as detection. 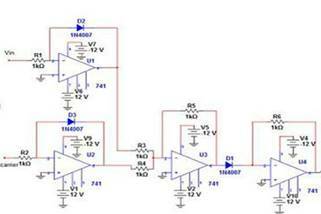 ASK involves multiplier circuit with data stream and a high frequency carrier signal as input. The resulting ASK modulated output signal is highly band efficient. 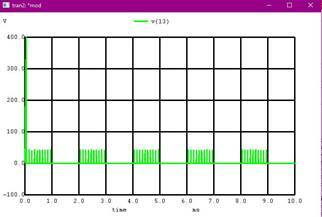 In the world of electronics and telecommunications, modulation implies variation in some parameter of the carrier signal by means of the signal that is to be transmitted. In earlier days, communication was mostly achieved using analog domain .However, there were many drawbacks in this case. With the advent advancement in research, digital domain was proven to be far more efficient over analog. The baseband signal cannot be transmitted over long distances because of its low frequency. Consequently, this baseband signal has to be modulated in order to shift its frequency to RF range. Among various available modulation techniques, ASK is the simplest modulation technique being discussed here. An Operational Amplifier, or op-amp for short is basically a voltage amplifying device with 2 terminals as input and one terminal as output. It requires external feedback to control its overall response characteristics or operation. 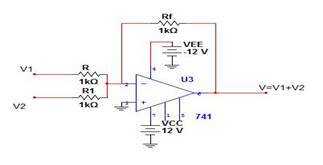 Differential amplifier is the basic building block of op-amp. 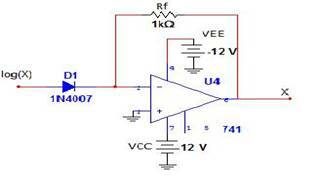 The differential amplifier stage is followed by a level translator and then an output stage. output terminal. The difference of the voltages applied at input terminals is amplified by gain value. It can work as an ideal amplifier with infinite gain and bandwidth when used in the open -loop mode. 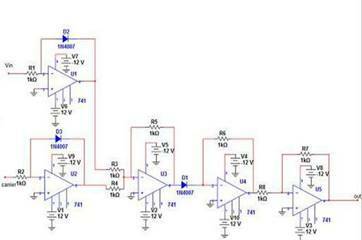 Here the multiplier circuit is implemented using Log, anti-log and summing amplifier circuits discussed previously. 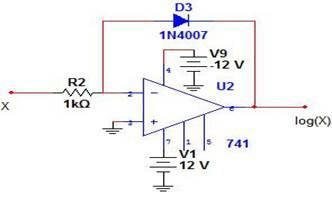 The ASK modulator is implemented using the multiplier circuit discussed above. To one of the log amplifiers data stream is given as input and to the other the high frequency carrier is given as input. The output of multiplier circuit is given to an inverting amplifier as in the multiplier stage op-amp is used in inverting configuration. 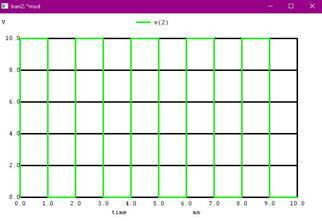 ASK modulation has been implemented using NGSPICE simulator. 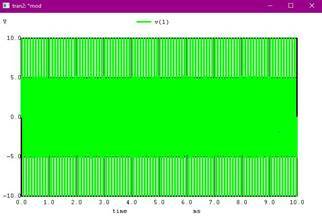 The multiplier circuit implemented using op-amp Generated the desired results in accordance to the input data stream and carrier. ASK is widely accepted due to its simplicity in implementation as well as detection. It requires lesser bandwidth when compared to FSK. However it is more prone to noise leading to usage only in more noise immune channels like Optical fibres.